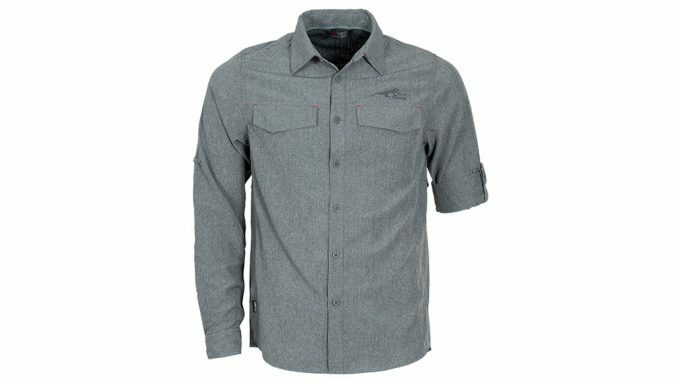 The First Ascent Nueva long sleeve shirt is the most comfortable hiking shirt I’ve worn. 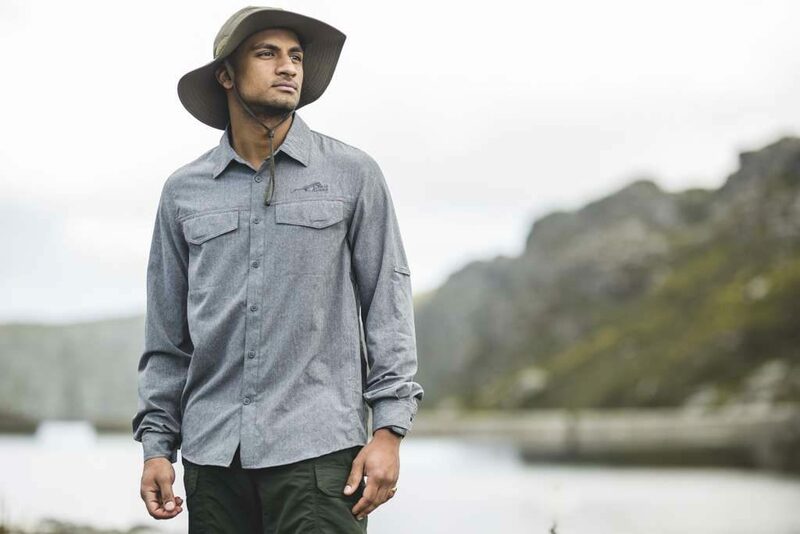 With a slight stretch in the fabric, highly breathable, abrasion resistant and a UPF rating of 30, the Nueva has become my go-to shirt for multi-day hikes. The ladies version is called the Luxor. 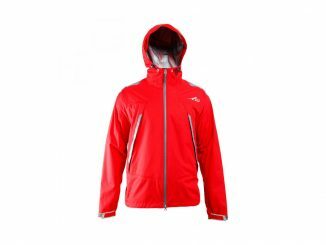 Historically one had to choose between comfort and durability when it came to outdoor clothing. Modern fabric technology has negated the rough texture and rigidity generally associated with durability and allowed manufactures to give us the best of both worlds. The 90% Polyester, 10% Elastane mix of the Nueva’s fabric makes for an extremely comfortable shirt. I almost took a smaller size than I usually wear because of the freedom of movement created by the extra stretch. Even after wearing the shirt for 6 days in a row, under very hot, sweaty conditions, it retained its comfort. 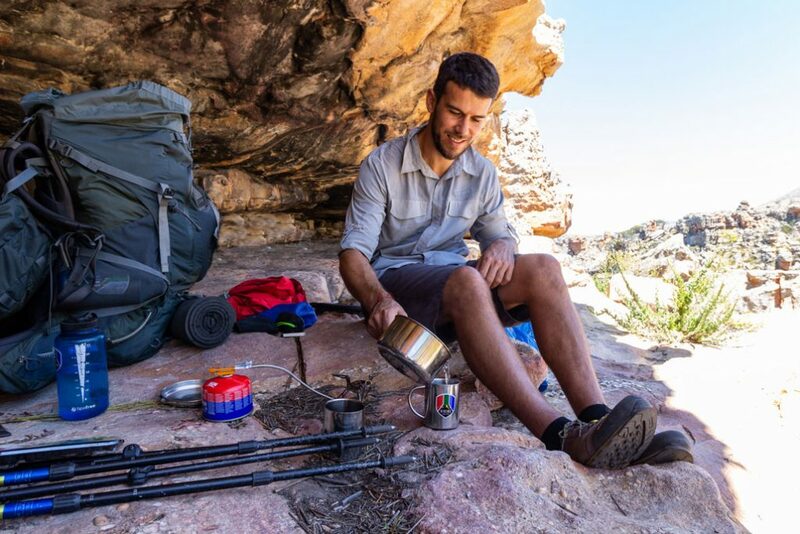 All day comfort in the Nueva, whether hiking or brewing a cup of tea in a cave. 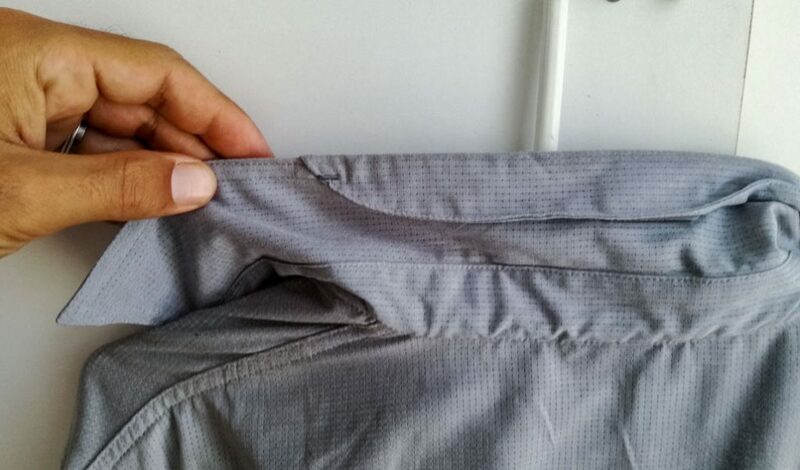 The fabric has a very soft feel, which makes it super comfortable, but I was concerned about its durability. 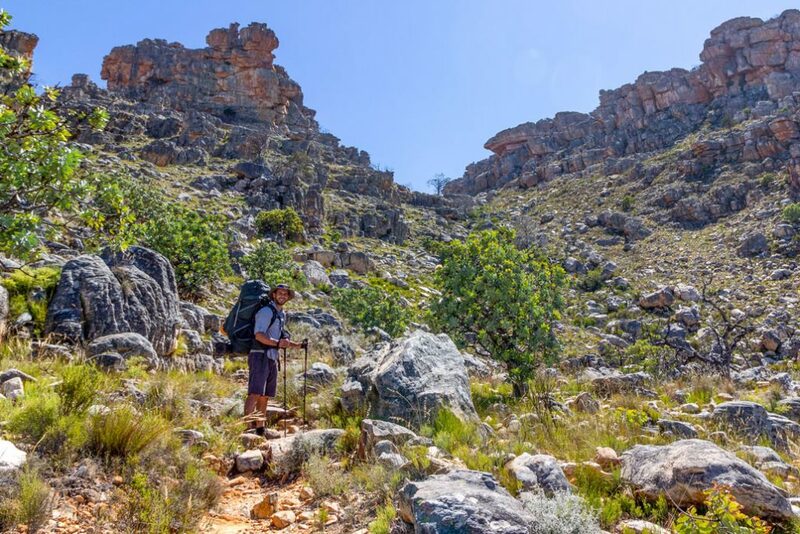 I wore the shirt while guiding on the Rim of Africa mountain traverse, where the walking is 95% off-trail, wading through head-height protea fields for more than two hours and scrambling over and scraping against coarse sandstone boulders and the shirt showed no signs of wear. I was amazed! 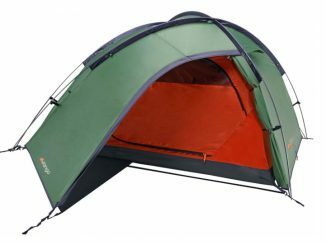 An example of some of the conditions the Nueva endured on the Rim of Africa. 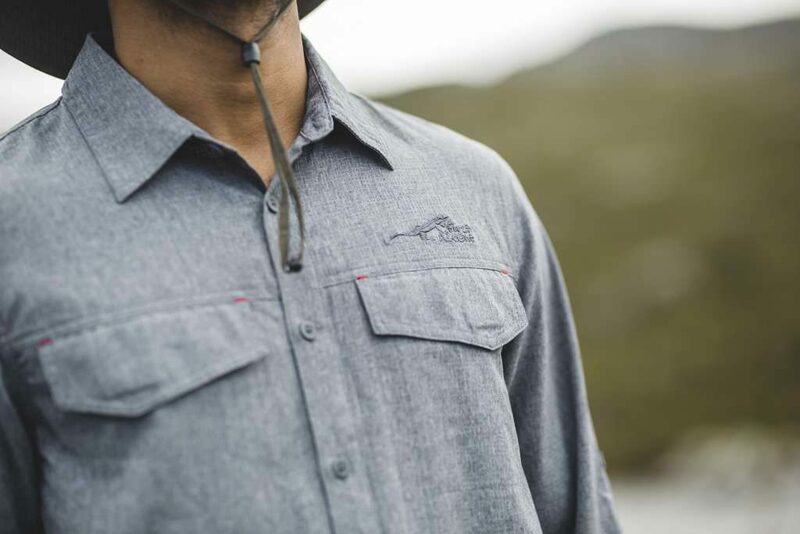 I’ve always opted for short sleeve shirts for the obvious reasons of freedom of movement and greater breathability, but hiking in more than 30°C, the Nueva kept me more comfortable than a lot of short sleeve shirts I’ve worn in the past. Even the slightest breeze passes easily through the shirt, cooling one down, and drying the shirt out in no time. 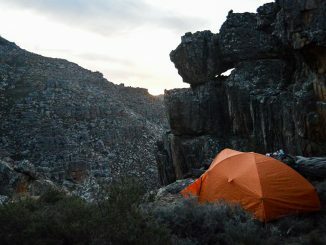 Comfortable and relatively cool, even in the Cederberg during summer. With the amazing breathability, I was concerned that I would burn through the shirt, but once again the shirt performed perfectly, keeping the sun’s rays at bay and the collar did a great job at keeping the sun off my neck as well. 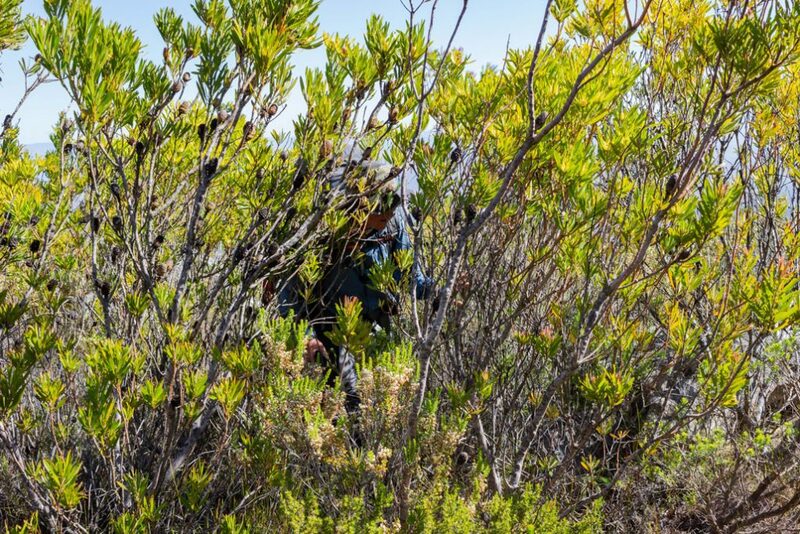 On some of the windier days I was able to hike with the sleeve’s rolled down, further reducing the chance of sunstroke on those high UV days up in the mountains. 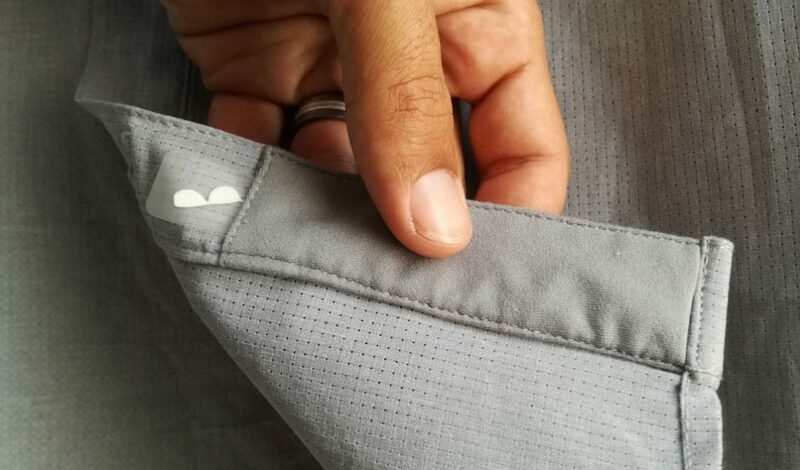 I was pleasantly surprised by the little patch of microfibre cloth stitched onto the inside of the shirt edge, specifically designed for wiping your spectacles or sunglasses. If you’ve ever tried wiping your glasses with tech fabric, you’ll know how useless it is. As amazing as this shirt is, it isn’t without some quirks. The collar has an extendable flap, for extra sun protection. However, the extension’s corners are stitched down, which keep forcing it flat, rendering it useless. The other element I found unusual was how the little fabric tab that is used to secure the sleeve when rolled up, has a button stitched onto the tab itself, as opposed to the sleeve, as is usually done. This requires extra fabric and makes for a slightly more awkward attachment method. These are absolute minors and should not dissuade anyone from getting the Nueva, but it seemed quite out of character with an otherwise amazing shirt. 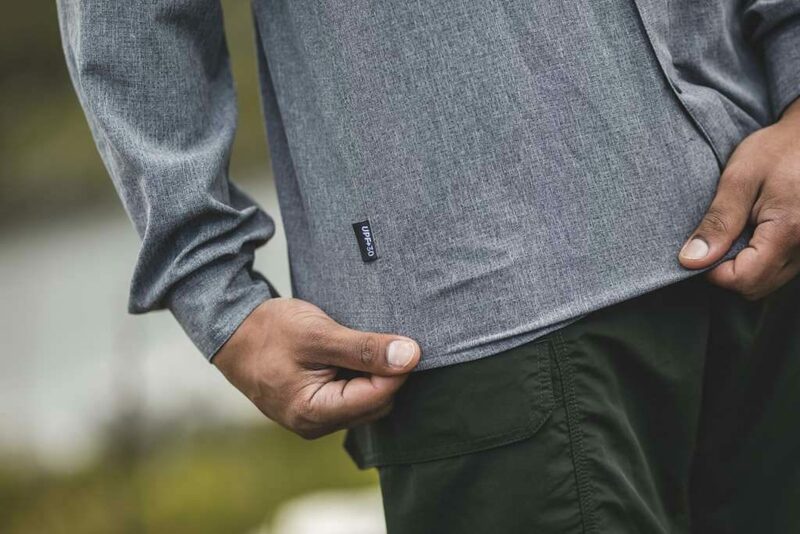 If you’re looking for a super comfortable, breathable, long sleeve shirt that you can wear multiple days in a row, in varying weather conditions, look no further. This shirt was provided for review purposes by First Ascent and be purchased from their website.